Feverfew (Tanacetum parthenium) is a biennial herb found in medicinal gardens, long valued for its purported ability to treat fevers, headache and mask unpleasant flavors in food. Unlike many additions to herb gardens, feverfew is not a favorite plant of bees; in fact, the plant is known to actually repel the insects and can inhibit pollination of plants that depend on honeybees for pollination. Feverfew is a short-lived perennial that grows to between 2 and 3 feet tall, bearing flat-topped, daisy-like flowers with white petals and tightly clustered yellow centers. Flowers appear from July to October. Leaves are alternate and pinnate, strongly resembling those of the chrysanthemum. The plant prefers sunny to partly sunny sites in soils of moderate acidity and average fertility and drainage. All parts of the plant emit a strong, bitter odor. When grown as part of a medicine or herb garden, feverfew should be positioned well away from other plants. The plant utterly repels bees, and for this reason feverfew should not be grown in close proximity to plants that rely on bees for pollination, such as fruit trees. Feverfew can be used to repel other insects; like other chrysanthemum relatives, feverfew produces pyrethrin, a natural insecticidal compound. Since at least Roman times, crushed feverfew stems and teas made from the leaves have been used to treat fevers and headache. The plant gained more widespread use in Britain in the 1980s as an alternative to mainstream medications for migraines. The responsible compound, parthenolide, is thought to work by relieving muscle spasms and acting to inhibit constriction of blood vessels in the brain. The plant’s active compounds classify it as a nonsteroidal anti-inflammatory drug (NSAID). When crushed, feverfew’s stems and leaves produce a bright yellow juice. Along with its use as a traditional herbal remedy since ancient times, this juice was used as a dye for fabrics. Today, the yellow juice of feverfew and other chrysanthemum plants is used as a dye, primarily in crafts. Though feverfew isn’t the best plant for a bee garden, several other species are known to attract large quantities of bees, butterflies and even hummingbirds to the garden. Bee balm (Monarda species), or bergamot, is a brightly colored flowering perennial herb that strongly attracts bees, hence its name. 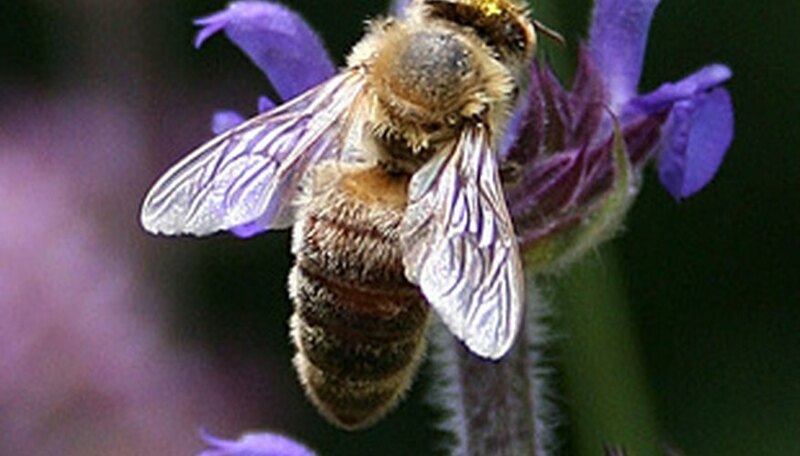 Lavender, garden sage (Salvia species), clover, sunflowers, garden phlox and asters are all valuable additions to gardens designed to attract these important pollinator insects.